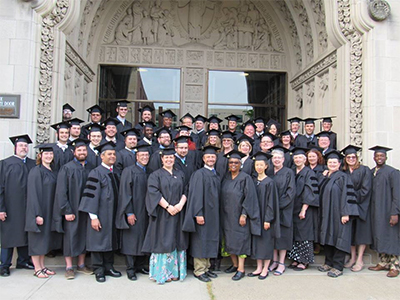 Pittsburgh Theological Seminary celebrated its 222nd commencement activities Fri., June 1, 2018, at 7:00 p.m. at East Liberty Presbyterian Church. The Rev. Dr. J. Herbert Nelson II, stated clerk of the General Assembly of the Presbyterian Church (U.S.A.), was the commencement speaker. A number of students also received graduation prizes. Watch the archived live stream of the graduation ceremony. An Egalitarian Vision of Race Permeated from the Pulpit: Can Measuring Racial Tolerance of the (PWNC) Church Leaders Be Sufficient to Deconflict Perceptions Within the Church? Parish Ministry and Leadership: How Prepared Are Church of Scotland Parish Ministers for the Leadership Role the General Assembly Expects Them to Play? How Can We Help People Talk About Death?